Distributor Accessories: We carry everything you need to go with your EFI distributor--from coils and ignition boxes to adapter harnesses and replacement caps and rotors. Holley HyperSpark Distributor New Release! Holley will quickly be releasing more HyperSpark distributors in the near future and we will add them here. If you don't see a HyperSpark distributor for your application be sure to look for your application in the list of Dual-Sync Distributors, since the Dual Sync distributor can always be used in place of the HyperSpark. Check Out this Video on the Hypespark Ignition System! Holley EFI Dual Sync Distributors *Reduced Price! *Holley recently redesigned their Dual-Sync Distributor as part of outsourcing their production to MSD. As a result, these part numbers have had a dramatic price reduction. Check Out this Video on the Dual-Sync Distributor from HolleyEFI! Sniper EFI Hyperspark Ignition Box NEW! Check out these great installation videos! Here are two great installation videos from Tom Kite, Holley's professor emeritus. The first one is a more general information video on Holley Dual-Sync Distributor Installation. The second video provides installation-specific guidance for installing this distributor with a Sniper EFI System. Enjoy! 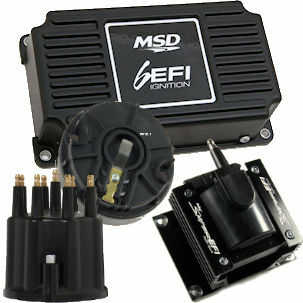 A high quality Holley EFI Dual-Sync Distributor will make your EFI installation as smooth as butter. Normally, providing timing to the ECU and then setting up the ECU to provide timed ignition pulses back to the engine is one of the most complex parts of an EFI system installation. These distributors make that process completely plug-and-play. The Holley EFI ECU is incredibly adaptable, for sure. All it needs to operate is an RPM signal. From that it can provide basic paired- or bank-to-bank fuel injection strategies. To do full sequential fuel injection, it is necessary to provide the ECU not only with RPM but also identify the piston that is firing. Since the crankshaft revolves twice for each cam location, it is necessary to sync the ECU with both the crank and the camshaft. A dual-sync distributor does that for you. 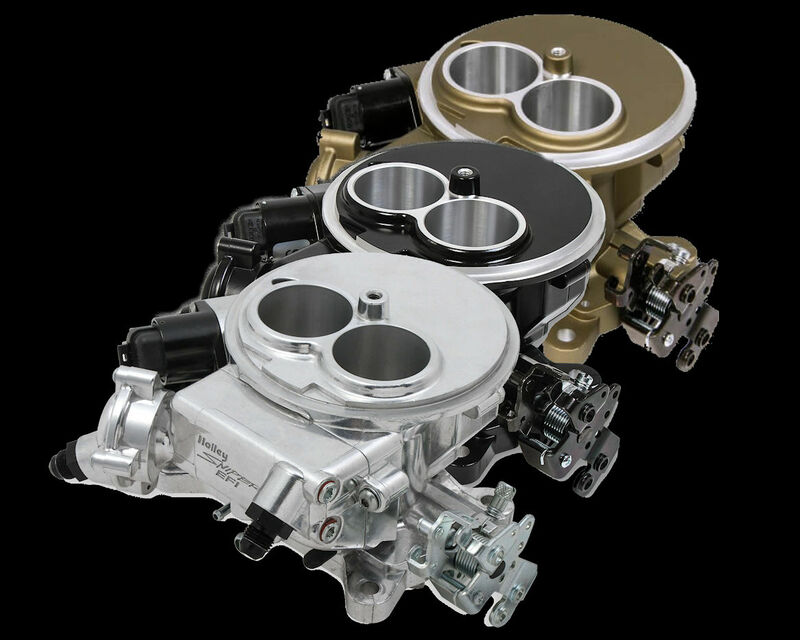 But providing the engine timing is only half the job of the Holley Dual-Sync Distributor. Since it allows electronically-adjustable ignition timing all this allows the Holley EFI ECU to control the timing. 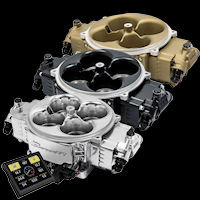 So, how hard is it to install one of these Holley Dual-Sync distributors? 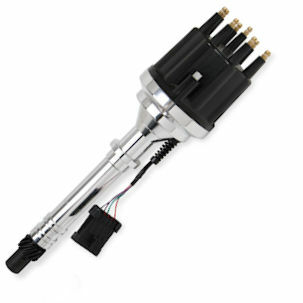 Well, provided one is available for your engine, you simply drop it into the distributor shaft hole in the engine and click the 10-pin connector on the distributor to the matching connector on the Holley EFI Main Harness. You're almost done. Simply follow the straight-forward directions that come with the distributor for aligning the distributor and setting it up in the Holley EFI laptop software. You're done. No crimping, no guessing which wire is which. 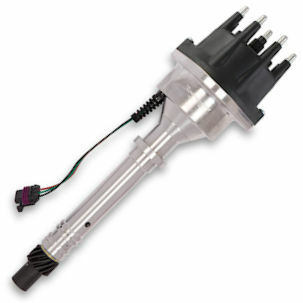 Installing a Holley Dual-Sync Distributor with a Holley Sniper EFI System? Perfect! You will need to add the Holley Sniper to Dual Sync Distributor Adapter Harness. Are you installing your Holley Dual-Sync DIstributor on a billet steel camshaft with a billet steel distributor drive gear? Then be sure to switch to this MSD Bronze 0.500-inch Distributor Gear. In the event you wanted to run Coil-On-Plug ignition you can order the COP Blanking Cap to replace the normal distributor cap. No more does COP mean you have to fuss with adding crank and cam sensors. And since you do have a cam sensor it means you don't have to run waste-spark. This is truly a slam-dunk decision. The Holley Dual-Sync Distributor for Chevrolet Small & Big Block (Standard Deck) isn't mandator..
With the release of the Holley HyperSpark EFI Distributor for the AMC 290-401, there really isn't an..
With the release of the Holley HyperSpark EFI Distributor for Chevrolet Small & Big Block (Stand..
With the release of the Holley HyperSpark EFI Distributor for the Chrysler Big Block Wedge (Fits 413..
With the release of the Holley HyperSpark EFI Distributor for Chrysler Small Block 273/318/340/360, ..
With the release of the Holley HyperSpark EFI Distributor for Ford Small Block 260/289/302, there re..
With the release of the Holley HyperSpark EFI Distributor for Ford 351C, 429, or 460, there really i..
With the release of the Holley HyperSpark EFI Distributor for the Ford 351W, there really isn't any ..
With the release of the Holley HyperSpark EFI Distributor for the Jeep 258, there really isn't any e..
With the release of the Holley HyperSpark EFI Distributor for the Mopar 383-400, there really isn't ..
Before the release of the MSD 6EFI we have long pointed out that if you want to run a capacitive dis.. The new Sniper HyperSpark EFI Ignition from Holley was designed to be the go-to ignition for the pop.. 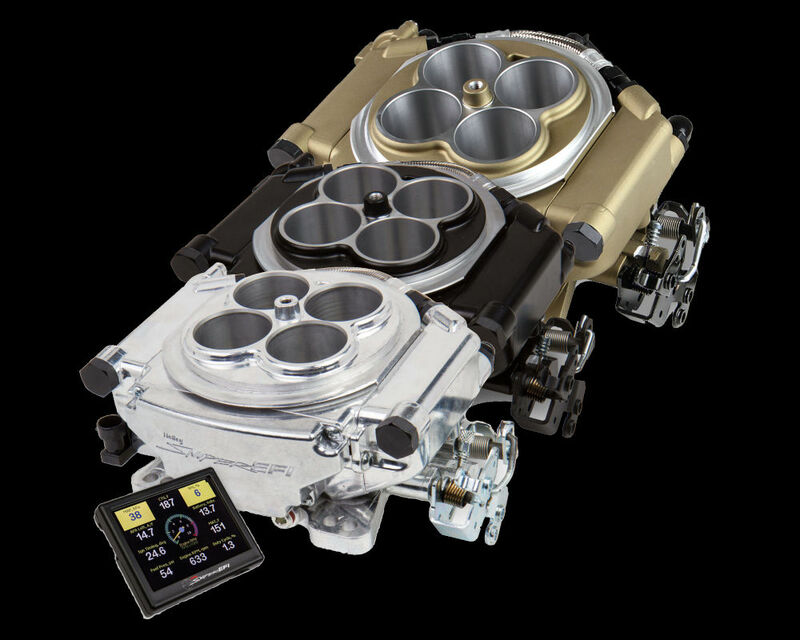 The Holley Dual-Sync Distributor for Chevrolet Big Block Tall Deck isn't mandatory for your EFI ins..